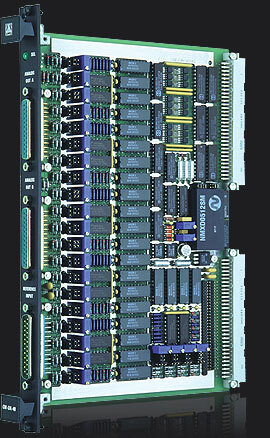 The CM-CPU-40/60 is a general purpose legacy 32 bit VMEbus computer. Supplied for military & industrial service lifecycle. This legacy module is not recommended for new applications. This high performance board has an efficient and comprehensive design, implementing most chips in classic DIL packages, which improves reliability, testability and maintenance. The powerful 32 bit mezzanine interface increases memory or complements the existing full set of onboard peripherals and does not require additional slot. The CM-CPU-40/60 offers a highly flexible I/O cabling solution using both the front panel and P2. Extensive software support offers BSPs for the leading real-time operating systems (UNIX, SUN, WIN, etc.) and Built-In-Test drivers for the most functional modules & peripherals. Military versions, fitted with 100% ceramics parts and conduction cooled thermal overlay PCB, greatly improve capability to withstand shock and vibration. The PCB metallic layer benefits heat dissipation increasing component longevity and module MTBF. This true military computer is fitted with popular industry-standard parts supplied by leading vendors. Modular CM-PACKS provide up to 14 onboard peripherals that interface the CPU board. 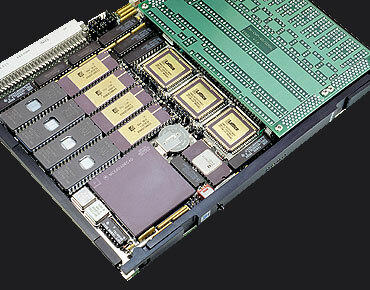 Optional expansion modules include; Memory, Graphics, Serial I/O, Ethernet, A/D, D/A, S/D, D/S, etc. CM-CPU-40/60: General purpose 40/66 MHz, MC68040/60 Computer with Ethernet & SCSI. Up to 8 MB of 32 bit SRAM with battery backup & 4 MB of 32 bit EPROM-FLASH-PROM. 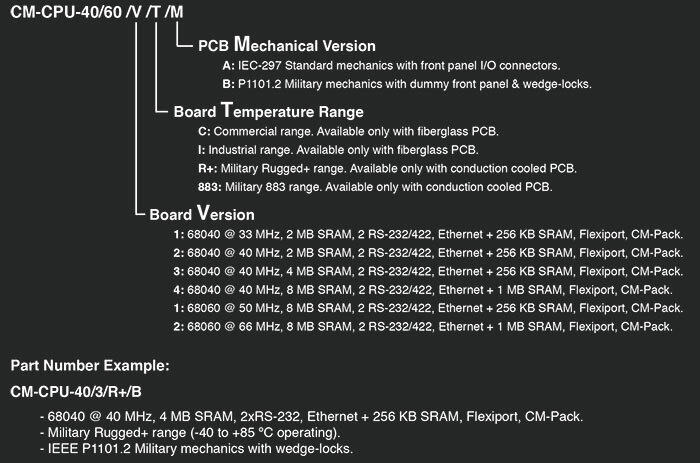 MC-68040/60 Single Board Computer (Commercial, Industrial, MIL-Rugged & MIL-STD-883 Versions). Microprocessor: MC-68040/60 @ 33-40/50-66 MHz. 32 bit local SRAM: 2-4-8 MB. Battery backup. Serial Ports (Z8530): 2 sync-async. high speed RS-232/422 ports (optionally optoisolated). Ethernet Port (AM7990): IEEE 802.3 port with LANCE and up to 1MB of dedicated SRAM. Real Time Clock (CDP-1879): Calendar, user Timer & Alarm. 100 mA/h rechargeable battery. CM-Flexiport (Z8536/53C80/Z8530): Option of 16 bit Parallel with 3 Timers, or SCSI-I, or 2 RS-232. Registers: Control & Status Registers. BIT pass/fail indicator on front panel. Two Mailboxes: Assert interrupts to the MPU on specific VMEbus SRAM accesses. Arbiter & Requester: A PRI Arbiter and bus Requester are intended for multiprocessing. Interrupt Handler: Manages the 7 VMEbus IRQ lines + 11 IRQs from local peripherals. VMEbus Interface: A32/D32 Extended/Standard/Short IEEE 1014 rev. C master interface. A24/D32 SRAM slave interface. System Controller capability. VMEbus Interrupter: I(3-7). Vector generation capability. CM-Pack Interface: A25/D32 mezzanine port. 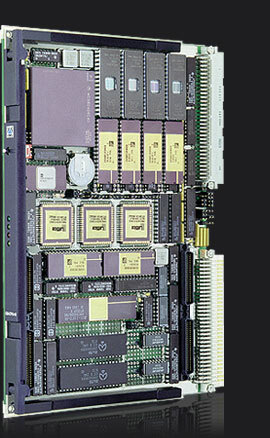 Up to 32MB of memory or additional I/O devices. Watchdog (MAX690): Supervises Battery, VCC and MPU. Power consumption: +5 VDC @ 2,3 Amp. Board Weight: Military R+ & 883.- 810 grams. Commercial & Industrial.- 605 grams. 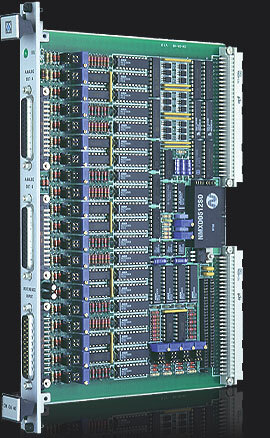 CM-CPU-40/60//A: IEC-297 mechanics for 19 inch racks with I/O on front panel. CM-CPU-40/60//B: Military IEEE P1101.2 wedge-lock mechanics for ATR enclosures. 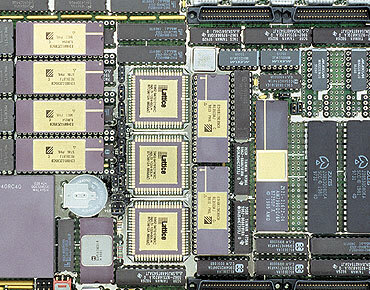 MC-68040/60 @ 40/66 MHz with MMU, Math coprocessor & dual cache RAM. Up to 8 MB of 32 bit SRAM with battery backup. Up to 2-4 MB of 32 bit EPROM-FLASH-PROM. Two RS-232/422 serial ports based on Z8530. Ethernet port with LANCE & 1 MB SRAM. RTC Calendar with Timer, Alarm & Battery. CM-Flexiport with: 16 bit Parallel + 3 Timers (Z8536), or SCSI (53C80), or 2 RS-232 (Z8530). A32/D32 multiprocessing VMEbus master interface. A24/D32 local SRAM slave interface. System Controller Unit. VMEbus Interrupter. Two Mailboxes in dual port SRAM. 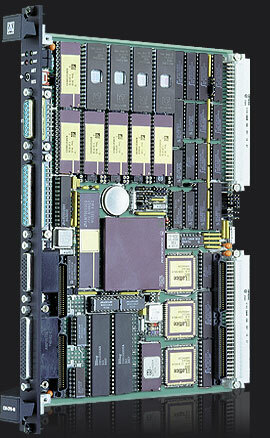 32 bit CM-Pack mezzanine interface supports 1553, ARINC-429, Graphics, Serial, FLASH, etc. IEC-297 mechanics with I/O via front panel and military P1101.2 mechanics with wedge-locks. VME64x 160 pin P2 connector in P1101.2 version. Conduction cooled PCB with thermal overlay in MIL-Rugged and MIL-883 versions. Low power CMOS design (12 watts). 1: 68040 @ 33 MHz, 2 MB SRAM, 2 RS-232/422, Ethernet + 256 KB SRAM, Flexiport, CM-Pack. 2: 68040 @ 40 MHz, 2 MB SRAM, 2 RS-232/422, Ethernet + 256 KB SRAM, Flexiport, CM-Pack. 3: 68040 @ 40 MHz, 4 MB SRAM, 2 RS-232/422, Ethernet + 256 KB SRAM, Flexiport, CM-Pack. 4: 68040 @ 40 MHz, 8 MB SRAM, 2 RS-232/422, Ethernet + 1 MB SRAM, Flexiport, CM-Pack. 1: 68060 @ 50 MHz, 8 MB SRAM, 2 RS-232/422, Ethernet + 256 KB SRAM, Flexiport, CM-Pack. 2: 68060 @ 66 MHz, 8 MB SRAM, 2 RS-232/422, Ethernet + 1 MB SRAM, Flexiport, CM-Pack. 1*: Memory. 8-16-32 MB DRAM, 32 bits wide. 2: Memory. 2-8 MB SRAM or PROM-EPROM-FLASH-E2PROM, 32 bits wide. 3*: Video monochrome. MC-6845 CRT video controller. TTL+SYNC monochrome output. 4: Color graphics. TS-68483, 16 colors & up to 1,2 MB video SRAM. TTL, Analog & LCD outputs. Resolution up to 1024x720. 5: Serial I/O. 8xRS-232/422/485 serial channels based on Z8530. Optional galvanic isolation. 6: Ethernet port. Second Ethernet port for redundant systems based on LANCE + 1 MB SRAM. 7: ARINC-429. 4xARINC-429 Rx and 2xARINC-429 Tx channels with Built-In-Test capability. 8: Bus 1553. Dual redundant MIL-STD-1553 Bus Controller. BC/RTU/MT Protocol. 9: Synchro-Digital. 4 channels, 14 bit, galvanic isolated Synchro-Resolver to Digital. 10*: Digital-Synchro. 4 channels, 14 bit, galvanic isolated Digital to Synchro-Resolver. 11*: Analog-Digital. 16 channels, 12 bit, 100 Ksps Analog to Digital. 12*: Digital-Analog. 8 channels, 12 bit, Digital to Analog. 13*: Isolated outputs. 16 channels isolated optocouplers or relay outputs. 14*: Isolated inputs. 16 channels, AC/DC optocoupled inputs. 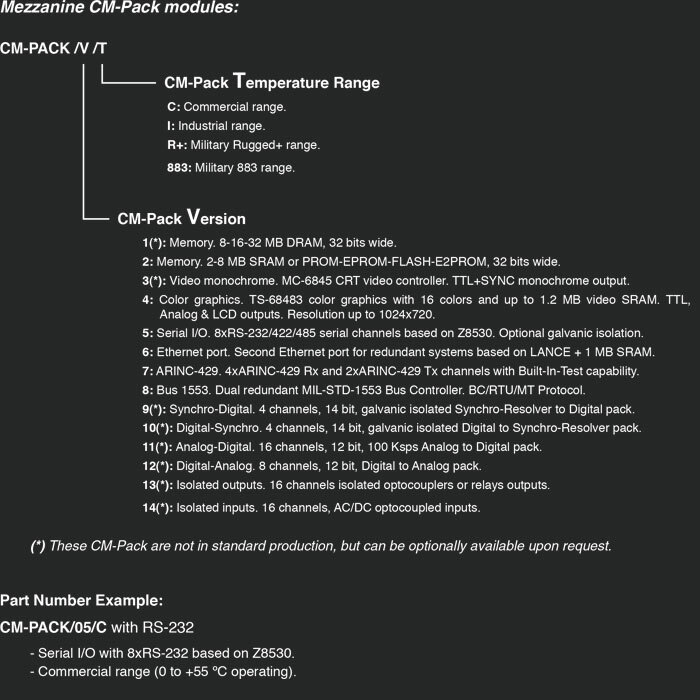 (*) CM-PACK is not in production but available upon request. - 68040 @ 40 MHz, 4 MB SRAM, 2xRS-232, Ethernet + 256 KB SRAM, Flexiport, CM-Pack. - Serial I/O with 8xRS-232 based on Z8530. - Commercial range (0 to +55°C operating). Wind River Systems VxWorks Tornado: The CM-CPU-40/60 is fully supported by VxWorks Tornado. This Real Time Operating System is ideal for UNIX environments using a Sun-4 or PC as host. CM-PC-Monitor & CM-PC-Supervisor: Low cost & easy to use CM proprietary PC development tool. User programs are compiled using the popular Microtec Research MCC68K cross tools. Built-In-Test Package CM-CPU-40/60-BIT: Source code BIT drivers intended to test all onboard devices and peripherals. LEVEL 1, CM-CPU-40/60 MAP: User´s manual. Module hardware functional description oriented toward software development. LEVEL 2, CM-CPU-40/60 MMT: Maintenance manual. Extended description intended for failure location in the module.